President Trump’s consideration of ending the military “war games” in the region, exercises which he correctly acknowledged as being “provocative,” is laudable. 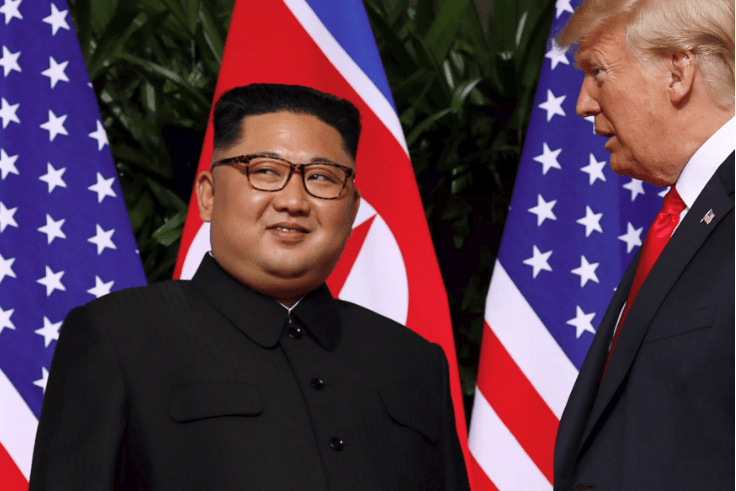 Kim and Trump’s first meeting now paves the way for a real end to the Korean War to finally be declared between the U.S. and North Korea, peaceful relations between our two nations and eventual diplomatic relations, and peace for the Korean people, who themselves have yearned for enduring peace. Accomplishing the goals in the agreement at the Singapore Summit will take further meetings and negotiations by both sides. Unfortunately, there are critics among Democrats and others from the so-called foreign policy establishment who condemn what occurred at the summit. What are they afraid of? What are they defensive about? Do they not remember that it was successive American presidents and so-called foreign policy experts who were the architects of the tragic Viet Nam War, a war in which over 58,000 American soldiers perished and over 3 million Vietnamese children, women and men were killed? Thankful to you for the massive article! I ought to use a bit of the refered to hotspots for my work as once in a while I have to do making papers at https://typemyessays.com/custom-essays and this book 'Subjugation By Another Name' must be fused on the summary concerning this issue. Thank you for this article, it so useful for me. I'm studying at the Faculty of History. Your article helps me deeply understand this topic. And now I can write a really quality essay. Also, I want to use an original-writing.com.